Rainbow lovers, have no fear, it is now possible to see a rainbow everyday. Gone are the days of waiting for the rain to end, and finding the perfect time and place to view a rainbow. 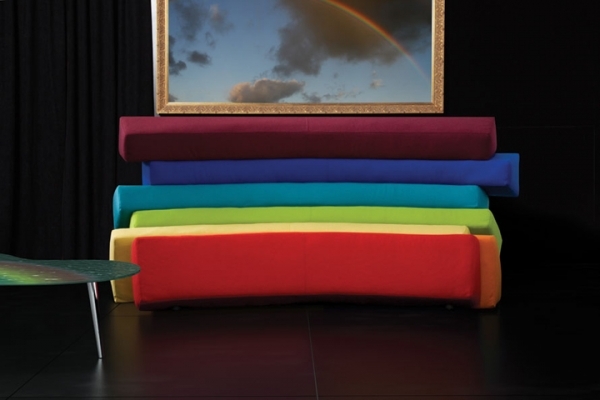 Ok, not really, but this colorful furniture, does make it possible for everyone to have their very own rainbow. 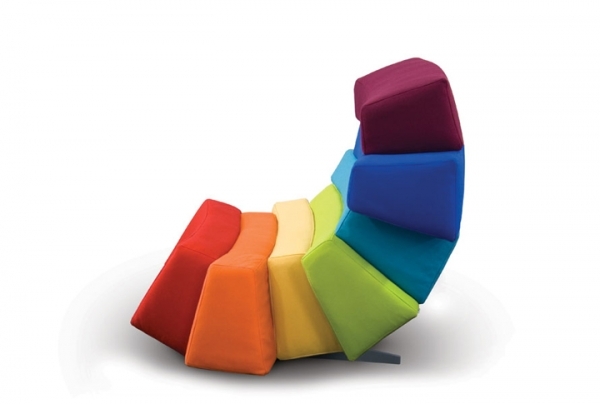 Designed by DIZAJNO, the IRIS collection, is an imaginative and visionary collection of rainbow furniture. Playing with the ideas of light, vision, and colors of light, this incredible collection has emotional affect and beauty. It is made of sinuous springs, rubber-textile straps, and top-notch PU foam. 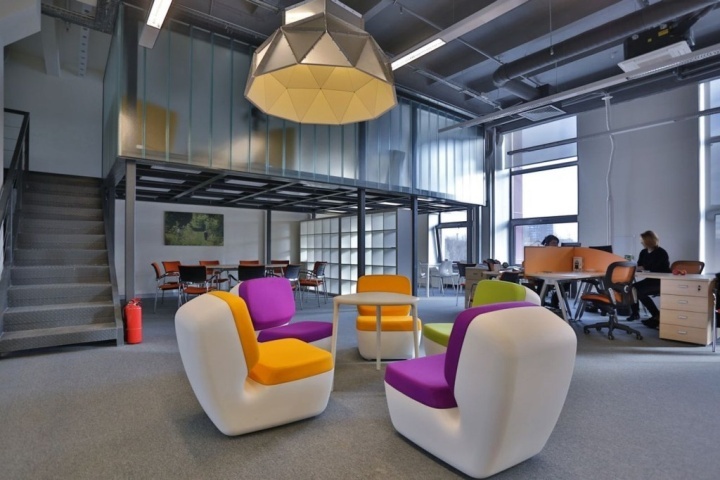 It has a strong inner frame, making sure that the furniture retains its structure and shape, alleviating any concerns about its seemingly delicate nature. 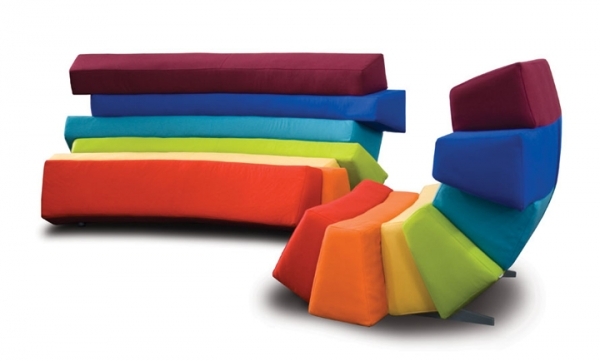 This colorful furniture contains the colors of the rainbow: red, orange, yellow, green, blue, indigo, and violet. 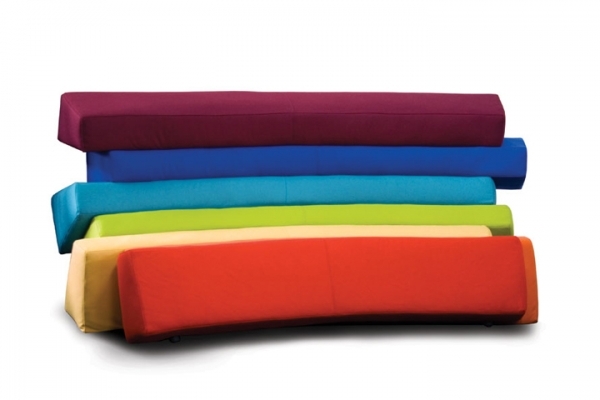 The collection contains the upholstered sections that can make a chair or sofa, and a glass table. It generally takes two or three chairs to complete the sofa. All of the pieces are gorgeous and intriguing. The size of the sections in the chair and in the sofa are mismatched, creating an irregular but appealing shape. The glass table is reminiscent of a puddle. It is textured, with a faint rainbow running across it. The thin silver legs provide stability and fit nicely with the rest of the table. The whole collection is very well made, ensuring a long lasting set. 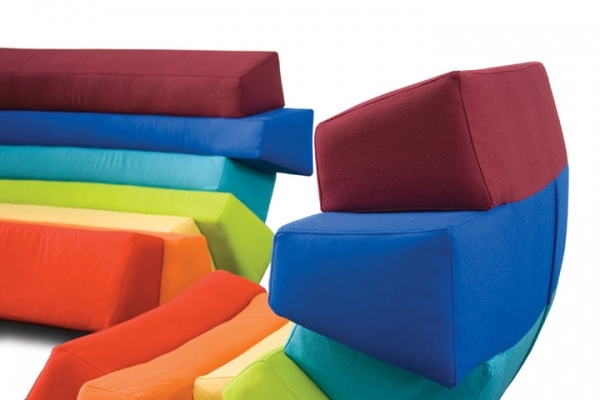 Colorful furniture adds spice in most situations, but this fantastic collection, takes spice to a new level. The IRIS collection has a lot of character on its own, therefore it would definitely add an enormous amount to any home. 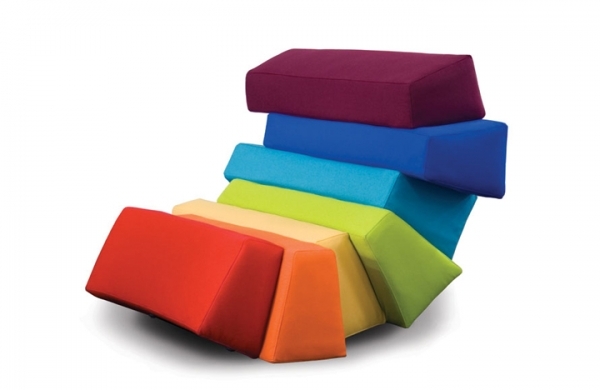 It could create a fun living room, brighten up the kids’ playroom, or lighten up the basement. It is the type of furniture, that brings instant sunshine and smiles, even on a rainy day.